Over the holidays I hosted a taco party at my house for 30 of my friends. Instead of buying all the salsas, I decided to make it myself. I made Pico de Gallo, Orange Sauce, and the roasted salsas below. hey all turned out great and super easy to make. In the future when I am too lazy to dice up all the ingredients for Pico de Gallo, I’ll just make these salsas quickly to have more time to do other stuff. 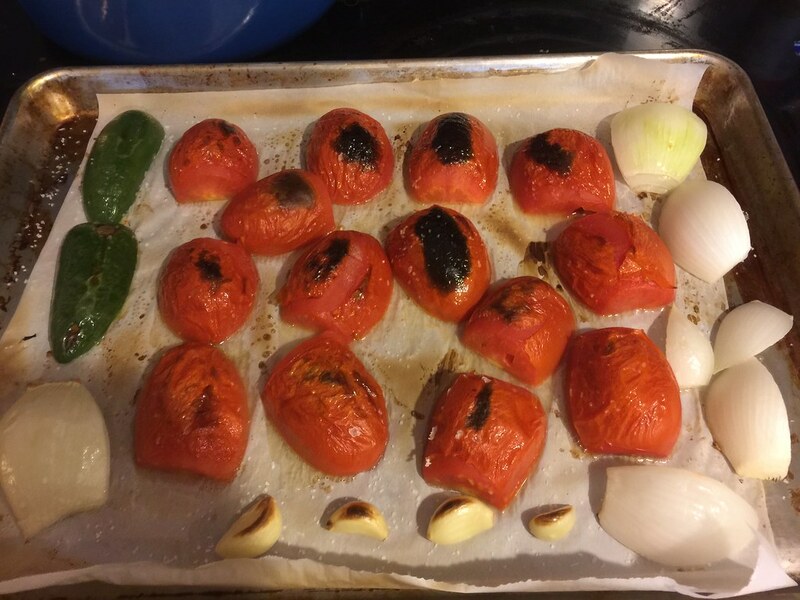 Roast Tomato Salsa Ingredients– Place tomatoes, garlic cloves, jalapeno(s), and white onion on a baking sheet and broil in the oven until softened and blackened for about 5-7 minutes. Remove baking sheet from the oven and allow to cool for a few minutes. 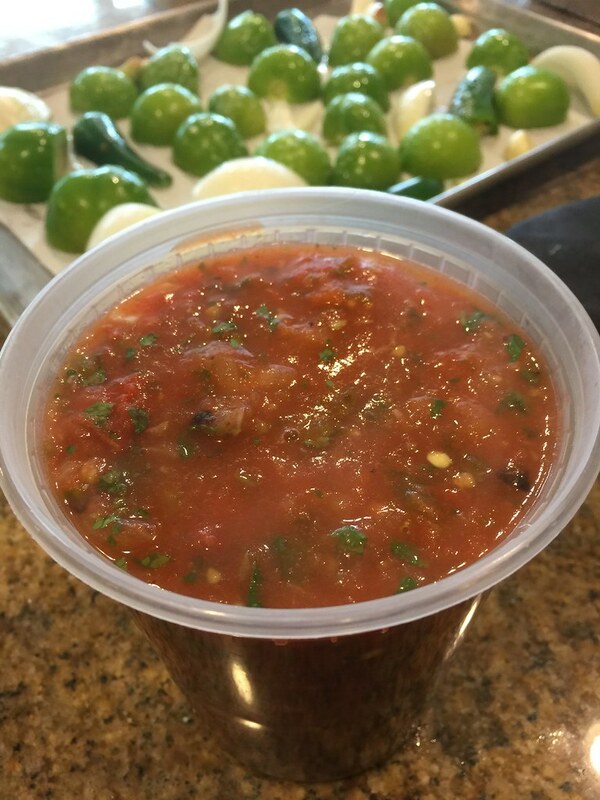 Blend Tomato Salsa Ingredients – Add the salsa ingredients plus cilantro, salt, and pepper and pulse until combined and chunky. 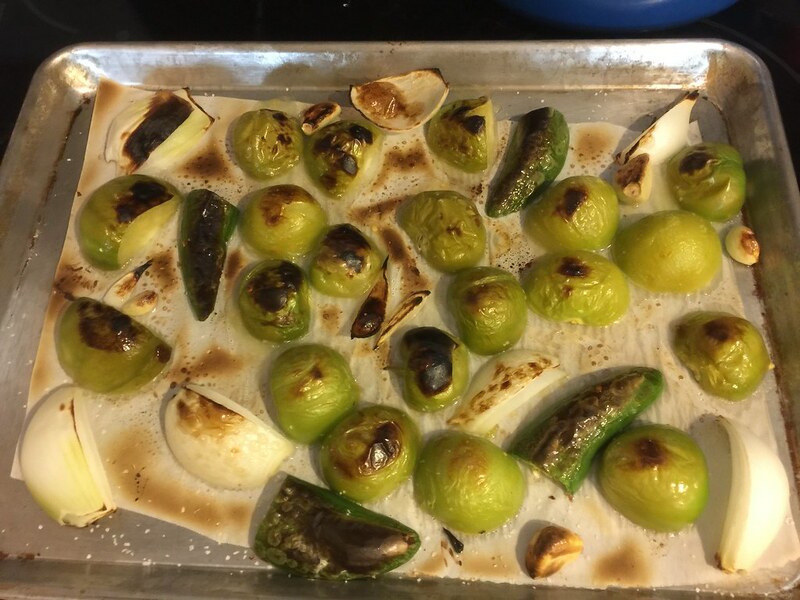 Roast Tomatillo Salsa Ingredients– Place tomatillos, garlic cloves, jalapeno(s), and white onion on a baking sheet and broil in the oven until softened and blackened for about 5-7 minutes. Remove baking sheet from the oven and allow to cool for a few minutes. 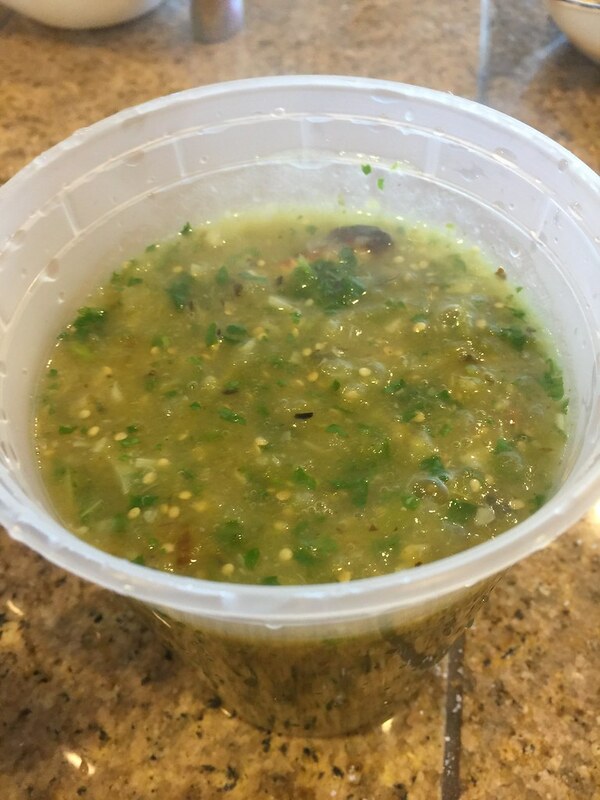 Blend Tomatillo Salsa Ingredients – Add the salsa ingredients plus cilantro, agave syrup, salt, and pepper and pulse until combined and chunky. If you do not have agave syrup, add honey. If you don’t have honey, add sugar.